Home>Entertainment> Eddie Murphy & Arsenio Hall Reunite For First Fittings Of "Coming To America 2"
For months now we've received tib bits of information about the upcoming sequel to 1988's Coming To America. We know that Eddie Murphy will serve as a producer, Black-Ish creator Kenya Barris has penned the script and it will be directed by Craig Brewer, known for Hustle and Flow. More moves have now been taken since Eddie and Arsenio Hall have reunited for a preliminary fitting with Oscar-winner Ruth E. Carter, who won Best Costume Design for her work on Black Panther. Ruth shared an image of both Eddie and Arsenio carefully holding her beloved Oscar with a caption that reads: "GOOD MORNING MY NEIGHBORS! It’s official! Preliminary fitting for Coming to America 2 with Prince Akeem, Semmi and Oscar." Coming To America 2 will arrive next summer, on August 7th, 2020. 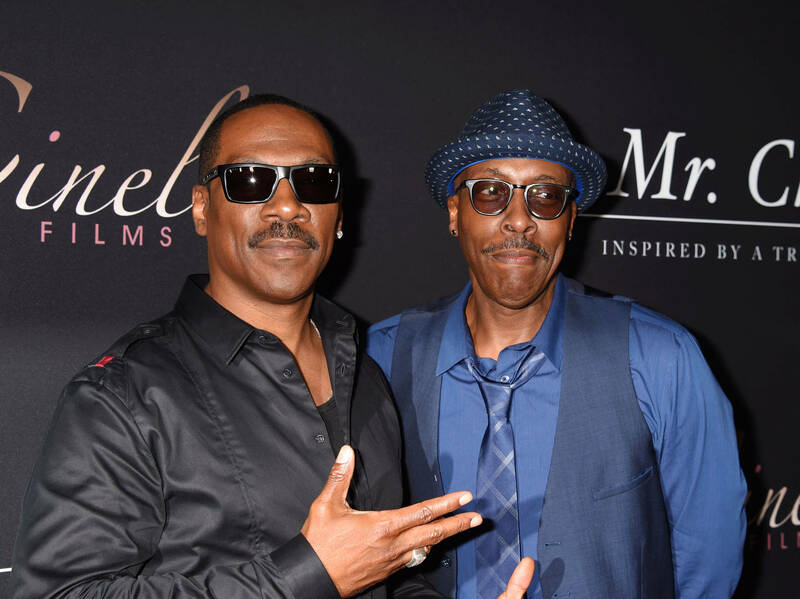 ENTERTAINMENT Eddie Murphy & Arsenio Hall Reunite For First Fittings Of "Coming To America 2"